Owen Haugh spins, releasing the glider upon completion of one full rotation. The plane seamlessly leaves his fingertips and ascends skyward at a rapid pace. Owen quickly takes command of the radio control with both hands, fully focused on his next maneuver. It is called a discus launch. It is achieved by holding the wingtip of the radio controlled model glider, known internationally as the F3K class, and rotating around before releasing the flyer. If done properly the plane can exceed 200 feet. This appears to be one of those times. And how good of a pilot is Owen? Well, put it this way, when the incoming freshmen at Olympia High School are standing around the hallways this fall swapping stories on how they spent this summer vacation, Owen’s will be tough to top. Owen, who has casually been flying for a couple years, but only actively been involved in the hobby a little more than 12 months, will be part of the United States junior team when they travel to Ukraine when to participate in the 2017 FAI F3K World Championships for Model Gliders. 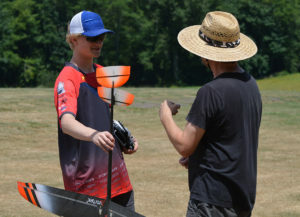 A total of 175 pilots from around the globe will compete in the world championships, which will be held July 23-29 in Lviv. 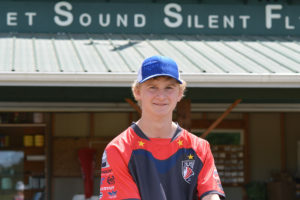 It will be the second of two international events Owen will participate in during his two-week stay in the Ukraine as he will also compete against the best model sailplane pilots from around Europe in the 2017 Vladimir Cup July 20-22. 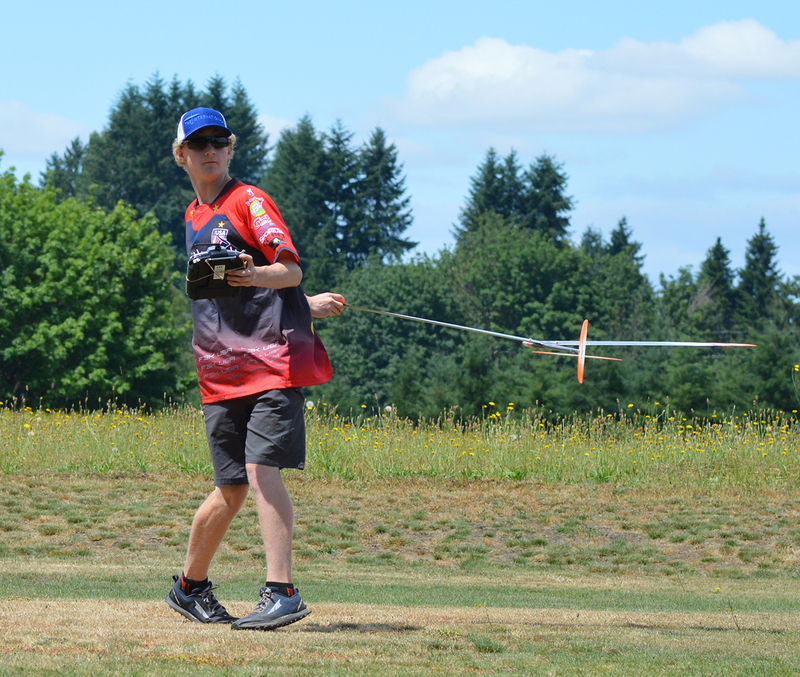 Owen and his father are members of the South Sound Silent Flyers, a club that was founded nearly 25 years ago with the focus of bringing together RC model airplane pilots of all types. Described by Matt as “the best kept secret in aviation in the South Sound,” the club, with an enrollment nearing 100 members, practice at a makeshift 300 by 50 foot runway in a 30-acre hayfield near South Bay. 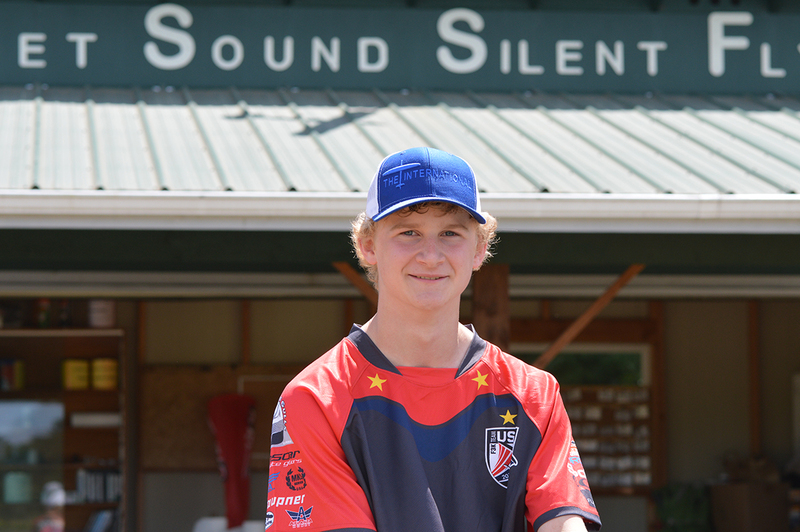 Matt had been involved with the South Sound Flyers for quite some time before being introduced to the F3K class six years ago. 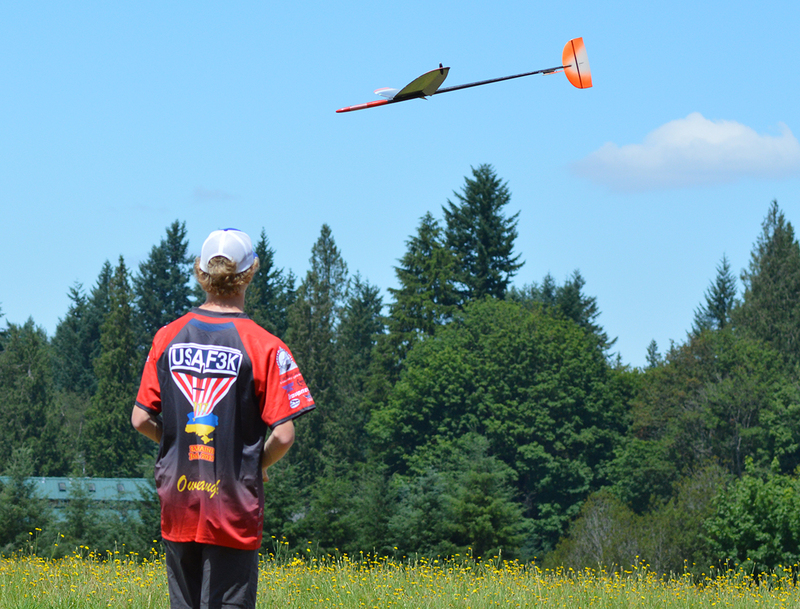 It was a newer discipline in the world of RC flying, but one he immediately was drawn to. Ever since his preschool years, Owen can remember watching his father participate in the hobby. He would simply “hang out” and occasionally help prep the lunch for the pilots, but initially didn’t possess the same passion his dad had for flying. He was content with being a spectator. Then someone handed him a radio control for an F3K glider and said “Fly this.” Owen was hooked. Owen qualified for US junior national team after competing against adults at a two-day contest. Pilots are required to perform a variety of specific tasks during their flights with scores being awarded throughout the competition. In order to qualify for the junior national team, a pilot must score at least 85 percent of the overall event winner’s final score.